In more than 120 years of league soccer there are lots of excellent forwards who have scored more than one hundred first level league goals in their career. Generally they did so in their own country, sometimes in a foreign country. Only in seventeen known cases a player scored one hundred league goals in more than one country. This story reveals who those seventeen soccer players are. I’ve divided them into different segments, in ascending order. First let’s take a look at nine players who scored one hundred league goals in two countries, but didn’t reach the one hundred fifty mark. Eight of these players scored a century of goals in their home country, Denmarks John Eriksen (Roda JC, Feyenoord, Servette, Luzern) is the only one to score 100+ league goals in two foreign countries, the Netherlands and Switserland. In his own country Denmark Eriksen scored another 44 league goals for Odense BK, and he also played one season in the French second division (Mulhouse), scoring 27 goals. - Hector Yazalde scored another 23 league goals for Olympique Marseille in France. *League 1 is the league in which the player has scored most goals, not necessarily the league in which he started his career. Only one player collected one hundred league goals in one country, and 150 (or more) in another. 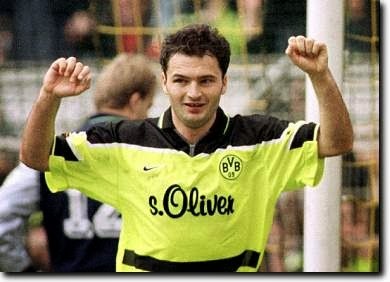 Stephane Chapuisat scored 40 league goals in Switserland, before moving to Gemany (Bayer Uerdingen 4 goals, Borussia Dortmund 102 goals). 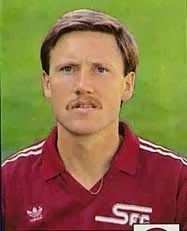 Then he returned home to Switserland and scored another 114 league goals for Grasshoppers Zürich, Young Boys and Lausanne Sports. Four different players managed to score two hundred goals in one league, and one hundred in another. These are all well-known strikers with big reputations. 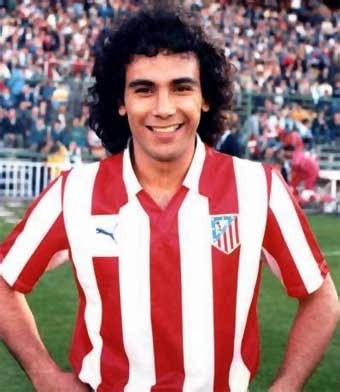 Mexican Hugo Sanchez scored another 28 league goals in the United States, and six in Austria. Three of these players scored their two hundred league goals in a foreign country, Raymond Braine being the only one who was more successful at home (206) than abroad (Czechoslovakia, 120). Argentina is the only country with three players in this list. 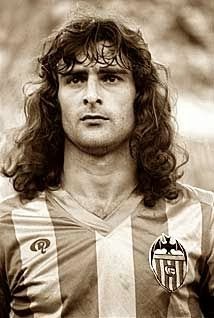 Kempes and Yazalde are already mentioned, Carlos Bianchi did even better. Bianchi was nearly unstoppable as a striker and he scored 205 league goals in Argentina, all of them for his club Velez Sarsfield. Inbetween he played seven years in France, collecting another 179 league goals. 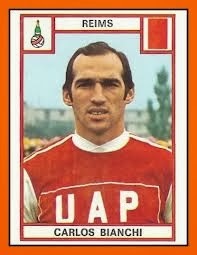 Bianchi ended his career in the French second division, scoring another 8 goals for Stade Reims. As we all,know, Bianchi is also one the most succesful coaches of all time. 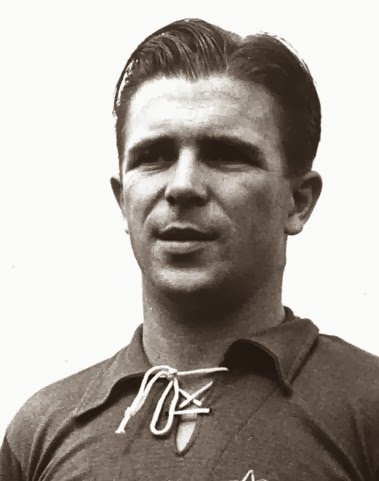 Ferenc Puskas is the number three goal scorer of all time, when it comes down to league goals. In this story, he is my number two. First Puskas banged in the goals in his native Hungary (more than 350!). After the Russian invasion in 1956 he and some team mates fled the country, at first to Switserland. He was banned by the Hungarian FA until October 1958. After that, he started played for Real Madrid. Thirty-one years old already, Puskas still managed to score 156 league goals until his retirement in 1966. My number one can’t keep up with the 513 league goals that Puskas scored. But Isidro Langara is the only soccer player ever (at least until now) who scored more than one hundred league goals in three different countries. He started with 80 goals at top level with Real Oviedo (and another 61 in the second division), before the Spanish Civil War broke out. Langara then played with a Spanish team (Euskadi) in the Mexican league for one year (17 goals) and was picked up by Argentinians San Lorenzo. After little more than three seasons there (110 league goals), Langara got back to Mexico and scored 106 goals in the league with Espana. He returned home to Spain and Oviedo score another 25 goals in the Spanish competition. That makes Langara king of this story.